After his debut as a hairdresser, he immediately came to the forefront because of his high agility.He serves as Store Manager and Chief Manager.He has been a manager for most of his long career. His results (requested by 260 people/month) show his high technical capabilities and customer service. His extremely high-quality skills are based on his perfect technique and excellent customer service. 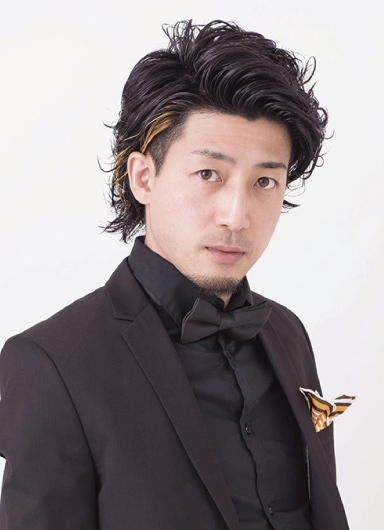 His winning of the highest award in the Japanese hairdresser industry is an example of his ability. With his skills that he polished in Japan, he has opened the door to world success now. Hairdresser career: 13 years Store manager and Stylist career: 10 years Special request sales: 2.3 million yen/month Requested by 260 persons/month He has received the highest award in the company . copyright © 2017-2019 BRANCHÉ All right reserved.